This interesting, 8 key blow accordion is apparently German in origin. (According to seller at least.) The seller also noted that it is approximately 14″ x 4″. In the fall of 2012 another one of these interesting blow accordions popped up on eBay. Maybe it was the same one, since it too was missing the number 5 key. (A wooden German sax without a #5 key, with what appears to be the same wear marks on it no less.) Strike that. Now that I made the am in the process of redoing my website, and enlarging all photos to their full size, I took another look at the blow accordion. The wear marks are different. These are indeed 2 different instruments. In the above photo you can see that the keys were numbered 1 through 8. 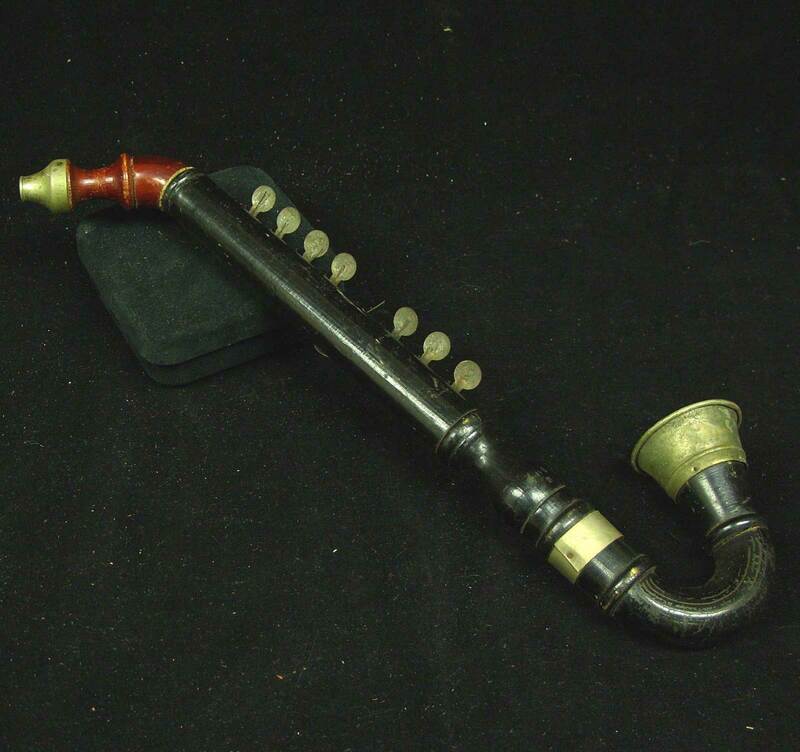 This seller speculated that the instrument was Czechoslovakian in origin. Also different were this seller’s measurements. 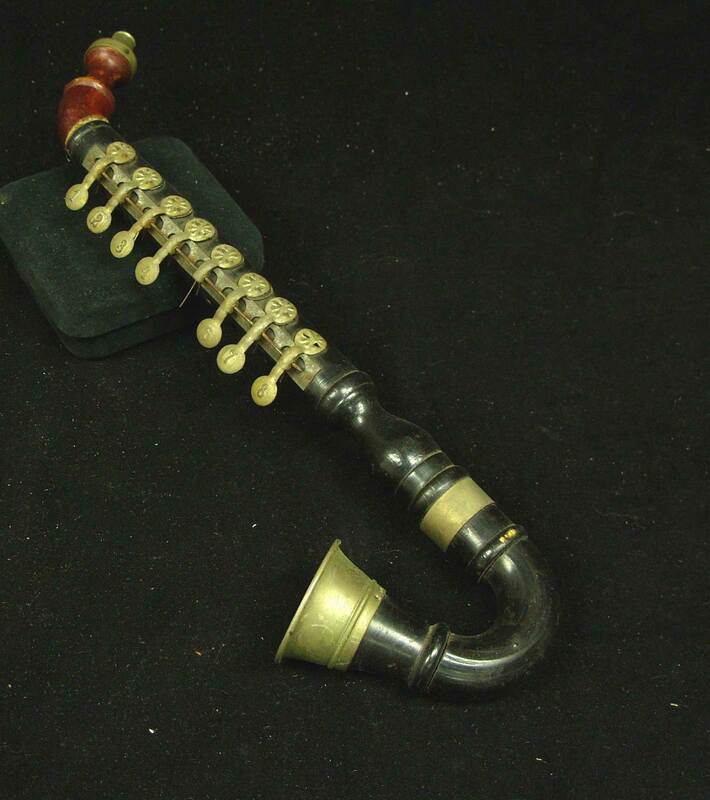 According to Vintagier, the saxophone-shaped blow accordion is 15″ by 6″, with a bell of 2″ in diameter. I can only speculate that one, or both, of these sellers was imprecise in their measuring. Or, that these are 2 different instruments, possibly made by different companies, which are indeed slightly different in size. Regardless which it is, it is safe to assume that this blow accordion was made in Europe in the early part of the 20th century. In March 2013, an eBay dealer was selling the following page from a 1927 Belknap Co. publication. 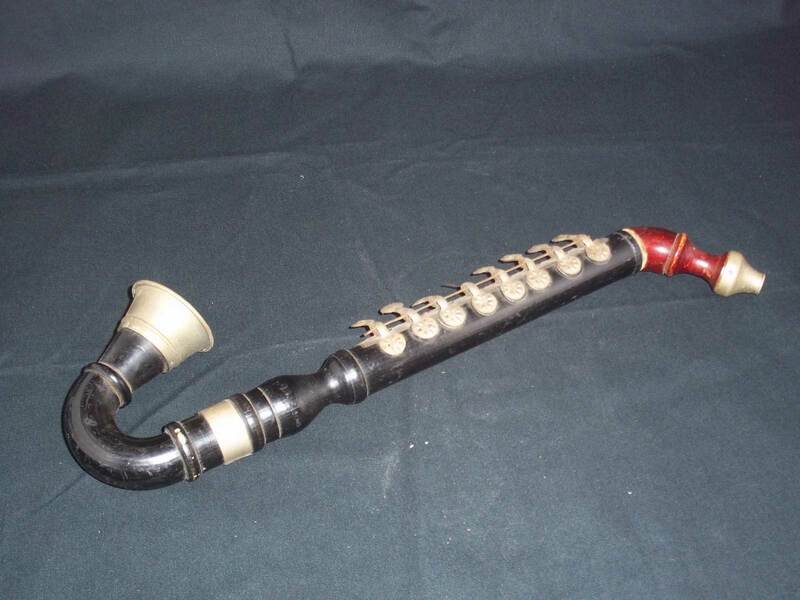 It appears to show if not this wooden German sax, then one very similar to it. 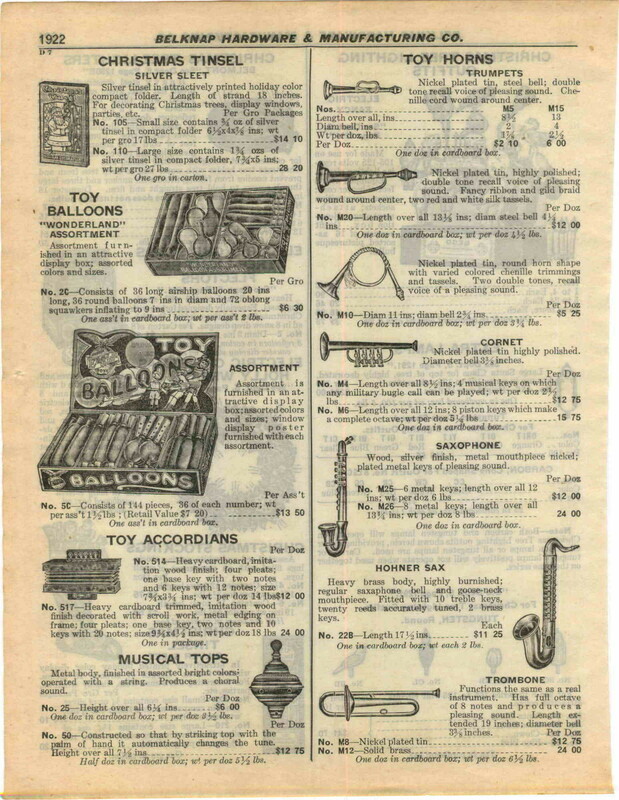 Notice the price difference between these blow accordions and the Hohner Sax. A dealer could buy a dozen 8-key wooden blow accordions, for just slightly more than it would cost to buy 2 Hohner Saxes!